GATLINBURG, TN - Great Smoky Mountains National Park officials invite the public to comment through May 31 on a draft environmental assessment (EA) for proposed upgrades to the Elkmont Wastewater Treatment Plant (WWTP) in Sevier County, Tennessee. 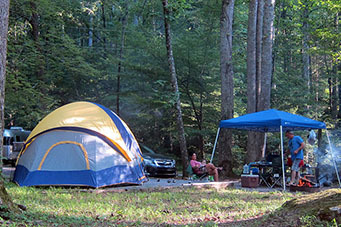 The plant serves the Elkmont Developed Area, which includes Elkmont Campground and other facilities nearby. • Alternative A – The No Action Alternative provides a basis for comparing environmental impacts of the action alternatives. • Alternative B – Upgrade WWTP and continue discharging to the Little River. • Alternative C (Preferred Alternative) – Upgrade WWTP and install a land-based, subsurface effluent dispersal system. The public is encouraged to participate in the planning process by reviewing and providing comments on the Draft EA. Park Staff invite the public to comment on the proposed project using the National Park Service’s Planning, Environment, and Public Comment website and following the link titled “Elkmont Wastewater Treatment Plant Upgrade” at parkplanning.nps.gov/grsm or by US Mail to Great Smoky Mountains National Park, ATTN: Environmental Planning and Compliance, 107 Park Headquarters Road, Gatlinburg, TN 37738.